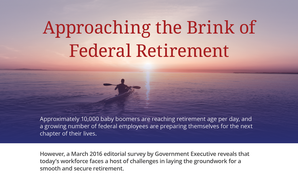 The federal retirement wave is fast approaching — but a March 2016 survey by Government Executive reveals that many employees on the edge of retirement are less financially prepared than they would like to be. 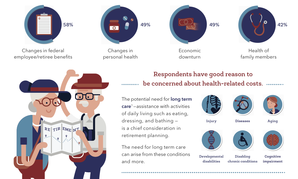 Approximately 10,000 baby boomers are reaching retirement age per day — but how prepared are federal employees for both the financial and mental aspects of this next chapter of their lives? 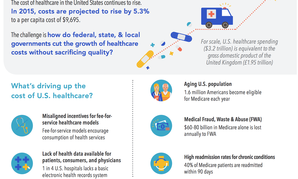 The cost of healthcare in the United States continues to rise. In 2015, costs are projected to have risen by 5.3 percent to a per capita cost of $9,965. The challenge is, how do federal, state, & local governments cut the growth of healthcare costs without sacrificing quality? 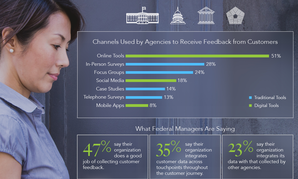 A survey of 410 federal employees shows that, without a more creative approach to integrating data across agencies, channels of communication, and touchpoints along the customer journey, federal customer service will continue to lag behind the private sector. 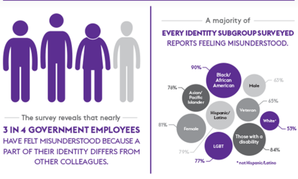 A recent survey of 750 federal employees suggests agencies still struggle with diversity and inclusion in the workplace. How can the military work to improve readiness in the face of continued budget pressures and the evolving nature of warfare? GBC finds the answer lies, at least in part, in virtual training. The federal government is about to undergo an enormous generational shift as Baby Boomers retire, but new research shows some employees are far more retirement ready than others. The Department of Defense's mobility strategy faces a pivotal period as it scales to the enterprise. View this infographic containing data from a survey of DoD managers and interviews with mobility experts to learn about the benefits of and challenges to defense mobility. Over 1 million federal employees are now eligible to telework, but communication tools may be holding them back. View this infographic containing data from a survey of federal managers and interviews with mobility experts to learn about the benefits of and challenges to enterprise mobility. 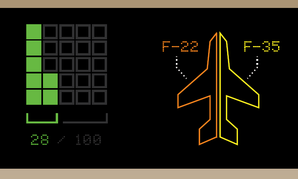 Is IT Procurement in Your Agency as Competitive as You Think? 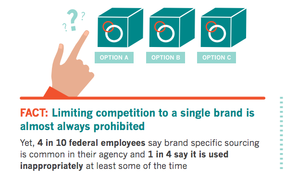 A November 2014 GBC survey found most federal managers believe their agency's IT procurement process is sufficiently competitive, but a closer look reveals that some procurement offices aren't always following the rules.